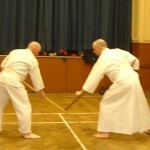 This sample pair form shows a two man kata or sequence. 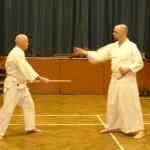 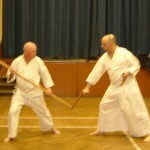 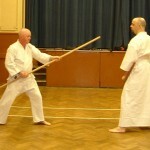 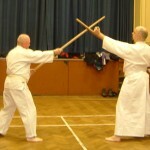 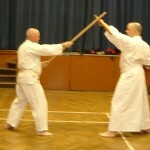 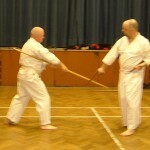 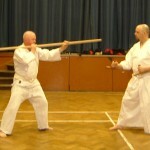 In this the staff attacks the tonfa who defends with the two side handled batons. 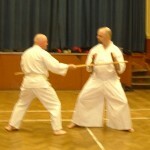 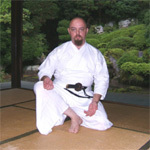 Pair-form training is an imprtant part of kobudo training. 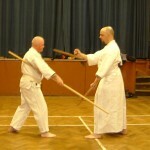 It helps the student develop strength, coordination, timing, distancing, and control. 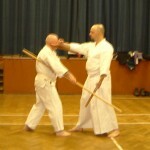 It also introduces the student to various strategies which are not always self evident in the kata. 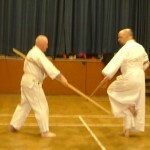 Behind every clashing sequence, it is worth noting that a strike lies hidden!